With hurricane season set to start next week, Tuesday marks a record 127 months since a major hurricane has made landfall in the continental United States, according to statistics compiled by the National Oceanic and Atmospheric Administration’s (NOAA) Hurricane Research Division, which keeps data on all the hurricanes that have struck the U.S. since 1851. The last major hurricane (defined as a Category 3 or above) to hit the U.S. mainland was Hurricane Wilma, which made landfall in Florida on Oct. 24, 2005. Although a major hurricane typically strikes the U.S. about once every two years, no major hurricanes have made landfall in the U.S. for more than 10 and a half years. The second longest stretch between major hurricane strikes was between the major hurricane that struck in August 1860 and the one that struck in September 1869, NOAA records show. The third longest stretch was between the major hurricane that struck in September 1900 and the one that struck in October 1906. Hurricanes Wilma, Rita and Katrina killed almost 4,000 people and caused an estimated $160 billion in damage that year, making it “one of the most active hurricane seasons in recorded history,” NOAA said in a statement marking the 10-year anniversary of the 2005 hurricane season. Because of the massive death and destruction caused by Wilma, Rita, Katrina and Dennis, their names have been retired by the National Weather Service. “On average, 12 tropical storms, 6 of which become hurricanes, form over the Atlantic Ocean, Caribbean Sea, or Gulf of Mexico during the hurricane season,” according to NOAA. “Over a typical 2-year period, the U.S. coastline is struck by an average of 3 hurricanes, 1 of which is classified as a major hurricane (winds of 111 mph or greater)” on the Saffir-Simpson Hurricane Wind Scale. Such storms are capable of causing “devastating” or “catastrophic” damage. The current drought in major hurricane activity is a “rare event” that occurs only once every 177 years, according to a study published last year by researchers at the NASA Goddard Institute for Space Studies (GISS). a) When is hurricane season? b) What is a major hurricane? c) How often do major hurricanes typically hit the U.S.? d) How many hurricanes form over the Atlantic Ocean, Caribbean Sea or Gulf of Mexico during the hurricane season? e) When did the last major hurricane hit the U.S.? f) What is significant about no major hurricanes in over 10 years? g) When did the second and third longest amount of time between major hurricanes occur? 2. What is the NOAA? 3. What type of media bias does this article highlight? 4. Every year since the 2005 hurricane season, “active” or “above average” hurricane seasons have been predicted by the experts. (See “Background” below and/or do your own internet search to see how each year’s hurricane season was predicted). According to a study published last year by researchers at the NASA GISS, the current drought in major hurricane activity is a rare event that occurs only once every 177 years. Why do you think the media has ignored this record and/or 10 years of inaccurate reports? The 2006 Atlantic hurricane season will be very active with up to 10 hurricanes, although not as busy as record-breaking 2005…the U.S. government’s top climate agency said on Monday. …U.S. hurricane experts say the sharp rise in storm activity is related to a natural shift in climatic conditions and sea surface temperatures in the Atlantic that is expected to last from 15 to 40 years. 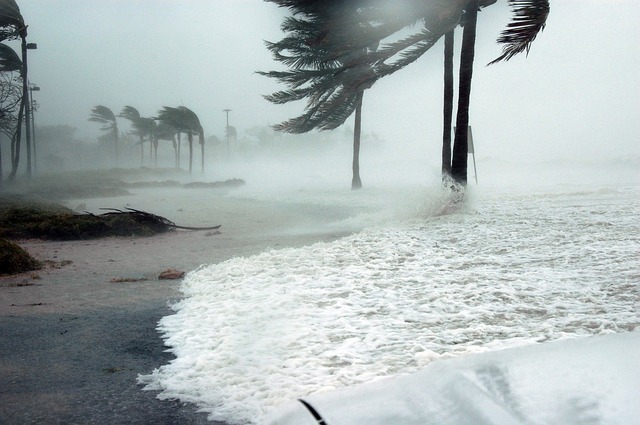 Some climatologists, however, say there are indications that human-induced global warming could be increasing the average intensity of tropical cyclones, although there is no evidence to date that it is affecting the number of hurricanes. The U.S. Atlantic basin will likely experience a very active hurricane season, the Colorado State University forecast team announced today, increasing its earlier prediction for the 2007 hurricane season. The team’s forecast now anticipates 17 named storms forming in the Atlantic basin between June 1 and Nov. 30. Nine of the 17 storms are predicted to become hurricanes, and of those nine, five are expected to develop into intense or major hurricanes (Saffir/Simpson category 3-4-5) with sustained winds of 111 mph or greater. The 2007 Atlantic hurricane season, which officially ends today, has—like last year—failed to live up to the predictions of forecasters. Now some experts fear the second year of inaccurate preseason predictions will shake the public’s faith in all hurricane forecasts—even when a storm is bearing down upon them. …conditions were ripe this year for a very active hurricane season, so it’s puzzling why it fizzled out, he said. It was especially surprising that three storms that formed at the season’s peak in September—Ingrid, Jerry, and Karen—didn’t develop into powerful hurricanes, he added. The Colorado State University forecast team upgraded its early season forecast saying the U.S. Atlantic basin will likely experience a well above-average hurricane season. The team’s forecast now anticipates 15 named storms forming in the Atlantic basin between June 1 and Nov. 30. Eight of the storms are predicted to become hurricanes, and of those eight, four are expected to develop into intense or major hurricanes (Saffir/Simpson category 3-4-5) with sustained winds of 111 mph or greater. Long-term averages are 9.6 named storms, 5.9 hurricanes and 2.3 intense hurricanes per year. Scientists at the Florida State University Center for Ocean-Atmospheric Prediction Studies (COAPS) who developed a unique computer model with a knack for predicting hurricanes with unprecedented accuracy are forecasting a season of above-average activity. The second longest stretch between major hurricane strikes was between the major hurricane that struck in August 1860 and the one that struck in September 1869, NOAA records show. The third longest stretch was between the major hurricane that struck in September 1900 and the one that struck in October 1906. This article highlights the media’s bias by omission and story selection.